Book Review Sometimes a Funny Sea By Samuel W. Grant Reviewed by Arista Slater-Sandoval Painter and photographer Samuel W Grant’s second self-published book, Sometimes A Funny Sea, is a dime sized hardback collection of aesthetically pleasing images in an attractive, self-contained package. 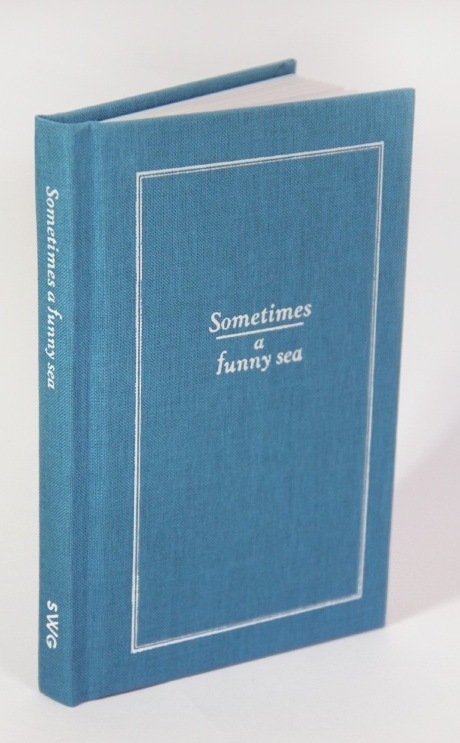 Sometimes a Funny Sea By Samuel W. Grant. Photographs by Samuel W. Grant. Self-published, Mountain View, USA, 2015. In English. 128 pp., 93 color and black-and-white illustrations, 4x6". Classic pocket sized novels have a certain allure that is hard to walk away from. Small books are intimate. They crack open like delicate miniature secrets, revealing their contents in whispers. Painter and photographer Samuel W Grant’s second self-published book, Sometimes A Funny Sea, is a dime sized hardback collection of aesthetically pleasing images in an attractive, self-contained package. Following his first self-published photography book, La Rue, Grant continues in a similar tone with his second book. The size of the book, font, and minimal layout allow for a straightforward viewing and appreciation for the images and varying processes. 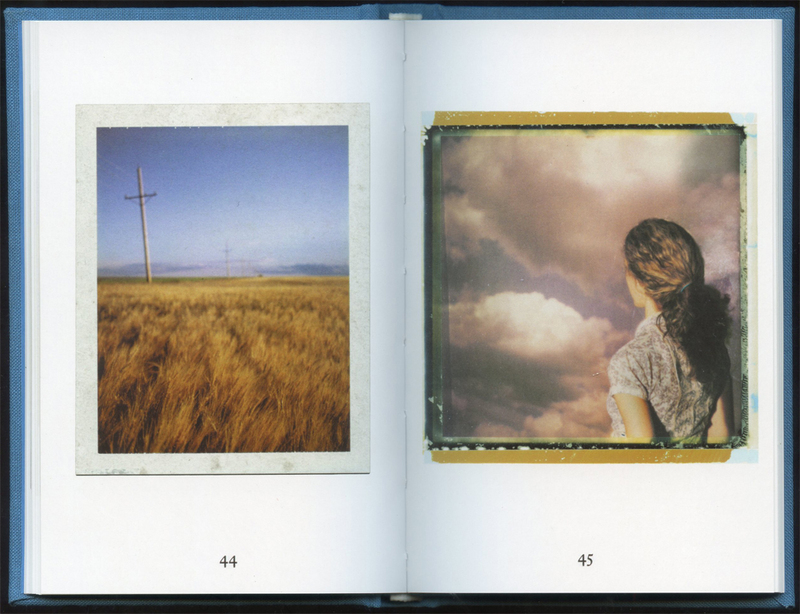 The book is broken down into three sections: Postcards from Europe, Polaroids & Other Pictures (mostly America), and Mexico. 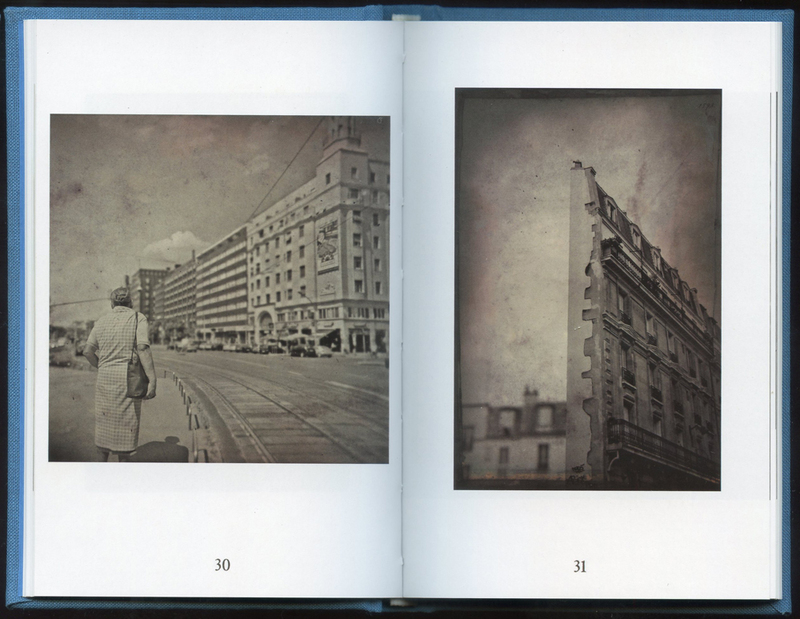 Contained in the separate chapters are vintage-esque images in color and black and white. The cameras used, film type, and subject matter, all vary slightly but read as from the same photographer throughout the book. Distilling wanderlust to a personalized formula, Grant shares with the reader his exploratory notes and sketches. In Postcards from Europe we are led to believe the following images are postcards; however I am not convinced. Some images appear to be so with the tall-tale signs of a drop shadow, or rabbit-eared corners and old type fonts stamped on the front. However, farther in the chapter the images contain artifacts of the process that postcard makers would edit out. We see light leaks, black edges of the film, dust and non-typical subject matter. So why categorize this chapter as postcards? A play on words? Or do the characteristics of the simple and pleasant structure transform them into postcards? If we think about what a postcard is — an image of where you are to share with someone, often through the mail, to show where you have been — then these images do just that. They act as tourist souvenirs, illuminating for the viewer experiences in travel. Sometimes a Funny Sea By Samuel W. Grant. Self-published, 2015. 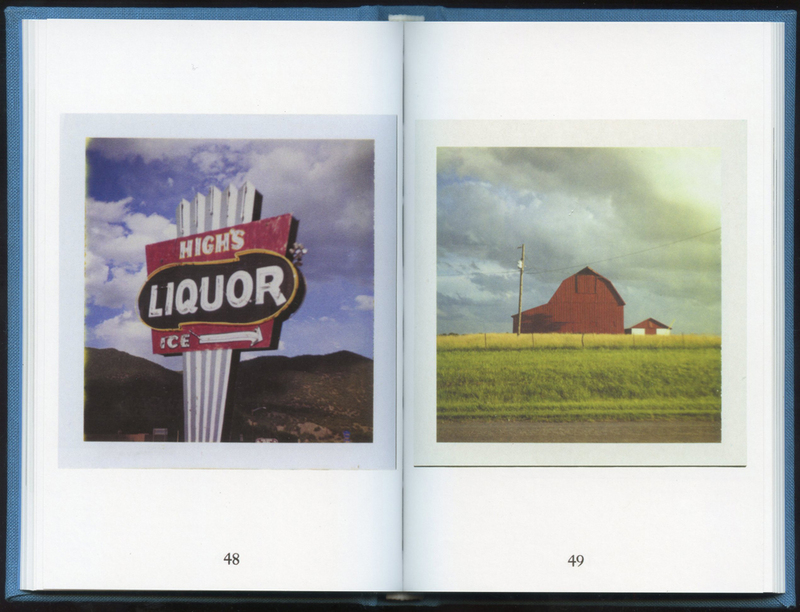 Polaroids & Other Pictures (mostly America) echoes the canon of American nostalgia and maintains the snapshot aesthetic as found in the previous chapter. Photographs of lone barns and country houses on a hillside, empty city streets, and dirt drives canopied by old trees create the expected portrait of America with a contemporary twist on process. Robert Frank and the retelling of the American road trip influences many contemporary photographers, including Grant. What differs in his approach is the largely absent representations of people . If people are pictured it is often from the back or from far away, with the few exceptions of a portrait or two. Grant focuses on architecture, scenic vistas, and empty street scenes. It is refreshing to study the absence of people in places that are made by and for people. The images are lonely. In contrast to this, Mexico contains the most interactions between people (with the similar formula of backs, or obscured faces), albeit still minimal. The book also illustrates how integral sequences and editing are. Possessing a multitude of images to choose from can be overwhelming and often works against a series to dilute the poignancy of the individual images and weaken them. Sometimes a Funny Sea remains thin, and carefully edited. 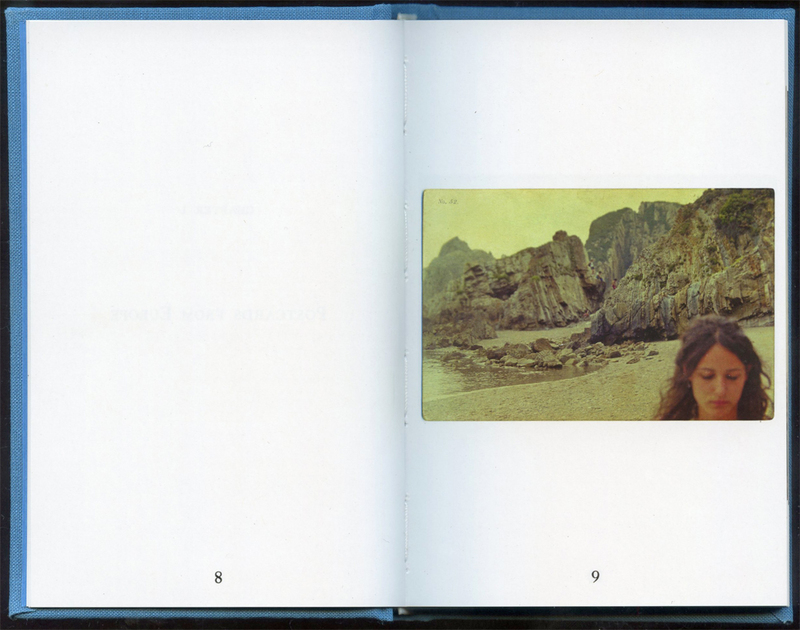 With an obvious bias towards the vintage, specific design elements, such as the binding, the minimal text and the layout of the book, Grant creates a successful formula for a unique photography book.